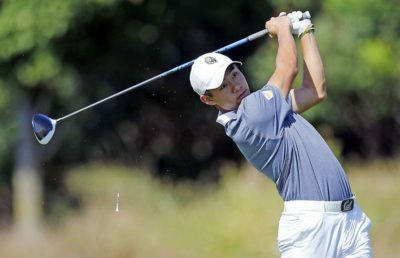 At last season’s Western Intercollegiate, Cal’s then-sophomore William Aldred shocked peers and opponents alike when he drained not one, but two hole in ones. Although the likelihood of such fortune occurring again this year is unlikely, if not impossible, this year’s event still proves to be an exciting one, with five participating teams ranked in the top 25. The beauty of this tournament is that this competition features six-man lineups where the top five scores count toward the overall scores, as opposed to most tournaments where the top four scores count in a five-player lineup. This is beneficial because the Pac-12 tournament at the end of April also follows a similar format. 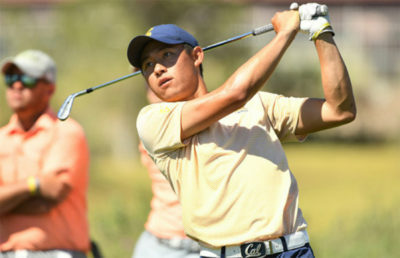 Leading the charge for the Bears will be junior Collin Morikawa, who was recently named the Pac-12 Men’s Golfer of the Month in March and the No. 1 collegiate golfer in the nation by Golfstat. The junior will look to finish the season strong and cement his status as one of college’s best golfers. Along with Morikawa, redshirt junior Sebastian Crampton has been on a tear. Crampton recently finished in third place at The Goodwin and was largely responsible for Cal’s late charge to second place Saturday. While Morikawa and Crampton have been leading the charge lately for the Bears, Cal will be hoping for more strong performances up and down its lineup. Unlike Cal’s last tournament at The Goodwin, where the course played at roughly 7150 yards, this weekend’s course at Pasatiempo runs at about 6700 yards. While significantly smaller, this course is a very long one that provides hitters with the opportunity to take advantage of the favorable conditions, but narrow fairways and difficult green conditions will definitely present challenges for all golfers. Overall, the Western Intercollegiate should provide the Bears with a nice tune-up before postseason play begins. For now, however, the Bears will take it one round at a time and focus on hitting quality golf shots.